If you’re in need of spray ink, we have you covered. We stock Dymark spray ink and Dymark Spray writer. 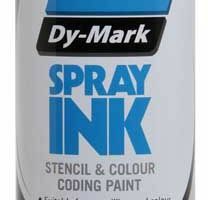 Other Dymark spray inks such as the Spray and Mark are available on request.